I haven’t posted here in over a week and a half, and I’m mad about it. I’m mad, and I’m disappointed, and I’m stressed. I’m mad because I made a personal commitment to writing twice a week, and I haven’t followed through lately. I’m disappointed because I know that as a writer/blogger you’re nothing without your audience, and you lose that audience the minute you become unreliable. And I’m stressed because this isn’t the only writing that I haven’t had time to do. There is a script that needs revision and another that needs to be started, and there are people waiting for both. “I think I’m going through a really hard time,” I told R last night. I think this particular neurosis stems from the fact that I’ve only ever viewed writing as a hobby/passion that very lucky people get to do after the entire universe has confirmed that they’re allowed to do it. “How exactly does the universe confirm that you’re allowed to be a writer?” R asked. “I’m not sure,” I say, “but I’ll know it when it’s confirmed.” I admit this is a cockamaime theory, when cornered. People are struggling just to get by, I say. My parents didn’t spend their life savings on my education so I could quit a job, I say. People will think I’m foolish, I say, just another starry-eyed writer in Los Angeles. “Why do you care so much?” R says. Except at this point the script is finished, there’s a good indication it’s going to lead to something, and I have 8.5 months of living expenses saved. Regarding the stacking up of freelance work, I have some leads, but it’s hard to focus on them when you’re working the kind of hours I have been this past year. “What are you really so afraid of?” R asks. Yes, all of those are legitimate factors, in one way or another, but they’re not the real issue. The real issue is that I’m afraid I’ll fail. I’m afraid I’m not good enough to make it. I’m afraid I don’t know how to be a full-time writer. I’m afraid that my self worth will plummet, and I’ll develop crippling writer’s block, and I’ll end up producing less product that I even do now. …And then I won’t have full-time work, and everyone will think I’m a fool, and I’ll go into debt, and I’ll have to move back into my parents basement, and I won’t be able to afford health insurance. It’s really very expensive, you know. “Do you really think you’re going to fail?” R says. And then I say the thing that I always say once the conversation reaches this point: If I’m really honest with myself, I’m more afraid that I’m never going to do it. Nothing has ever made me feel as fulfilled, excited, engaged or proud as my writing. Over the past five years I have developed a loyal audience through this blog. You continue to read my writing, tell me you enjoy it, and often ask for more. I have been paid to write by many publications. People within the creative community here in L.A. have expressed interest and confidence in my ability to have a writing career. I have previous experience as a waitress, babysitter, retail associate, tutor, and PA. I will not go hungry. I will not have to move back into my parents basement. And I will very likely never go without health insurance. Also, I have never had writer’s block. This is a turning point in my life and in my writing, but when I look at those truths, it’s a turn I’ve already made. I am a writer. I have been a writer for years. The only difference between the writer I currently am, and the writer I intend to be very soon is the time I commit to writing. Being a writer is not about how much money you make writing, no matter how much I need that validation to call myself a success. There will come a time when I make nothing, and that’s something I have to get used to. There will also hopefully come a time when I make lots, but that isn’t something I can bank on. Now it’s time to take a leap of faith rooted in a list of truths and backed by the support of lots of people, including all of you. 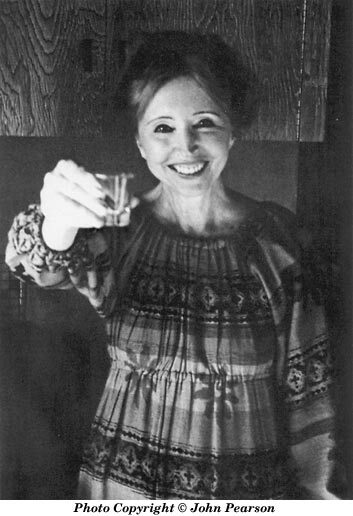 “And the day came when the risk to remain tight in a bud was more painful than the risk it took to blossom,” Anais Nin said. I think I’m arriving at that day, and I think I know what I need to do. I am arriving at that day, and I know what I need to do. I guess when you think about it, the cost of monthly health insurance is pretty cheap when you weigh it against the cost of never doing the one thing you aspire to do in life. It’s sad that we live in a culture that claims to celebrate freedom and then shits on the ones who celebrate freedom most, artists. This is a beautifully written post. Really hit home. Thank you for your eloquence and for your honesty. I will be one of your readers who ALWAYS asks for more. Get it, girl. I’ve been reading your advice on relationships for years and saying “omg 20-nothings just GETS it.” And once again, you get it. Glad you were able to come to this difficult decision! Good luck! I have never written on here before, but just had to let you know that I am rooting for you! You’ve been a writer since you were 4 years old… So happy that you have come to this place. I’m so proud of you! Money should never be the end that validates the talent… it’s all about living your passion. Jessie — I love that even your mother is behind you. As a fan of your writing who’s your mother’s age, I also hope you make the leap. When people are asked at the end of their lives to talk about their regrets, the things they most often regret are NOT the things they did that they wish they hadn’t done. What they regret are the things they hadn’t done that they wish they had. Man, this post really hit home for me as well. Very excited to see what’s next for you! Great post. I’ve been a reader for two years and my friends and I (all originated in Boston, now in the Midwest and East Coast) love talking about your blog and sharing it with other 20-somethings. Can’t wait for what’s next, best of luck! As a now single mother of two, I wish I had taken those risks much earlier in life. If you think it’s difficult to leap while you’re young, scared and not feeling as stable as you wish, please believe me when I say it’s only more difficult later (when others depend on you — and your health insurance). R is there for support, willing to catch you if you fall, encouraging you to take that risk. Take the leap. Give yourself a year full on. Truly, you know you are loved and you have nothing to fear but the fear itself. The universe will provide. so wait – did you quit and are now full time writer? awesome post, way to go. I came across your blog by just browsing the internet and I love and is hooked on your writing. I would like you to know that you are a great writer and you should and must pursue it in order to be happy. And from your writings, I could tell you are a person who actually pursue happiness. Go do what makes you feel good and continue churning out good pieces for your readers! Goodluck! This really hit home for me – I’ve been struggling with the same thing with my photography career and you hit the nail on the head when you said your greatest fear is never doing it. I make excuses all the time saying I’ll do things once x, y, z happens, but I realize if I never stop making excuses for myself I’ll never do what I love, and that is terrible to be depriving myself of that. Thanks for posting and best of luck on your new journey, I LOVE reading your blog. Thank you for this post. I’m in a similar place, financially afraid to take the leap from my full-time job, and you made me realize that if writing is what I really want to do, then I need to make it happen. Best of luck to you; I can’t wait to read the updates!